In light of publicly available information and our knowledge of technological trends, we now think all three products will begin shipments later than our previous expectation and market consensus. The slimmer casing may make it more difficult to ramp up production yields of coating and surface treatment, and could slow down the shipment timetable. Apple has to work out how to prevent interference from the black and white coating material under the cover glass. 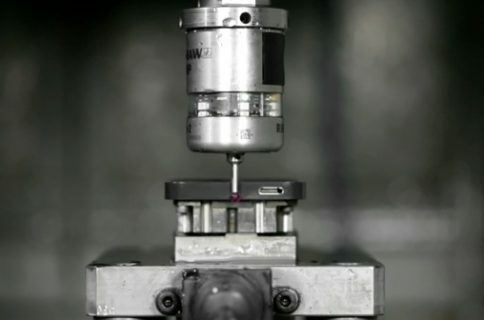 Apple is the first to attempt this function and technology, and time is needed to find the right coating material, which will likely affect iPhone 5S shipments. 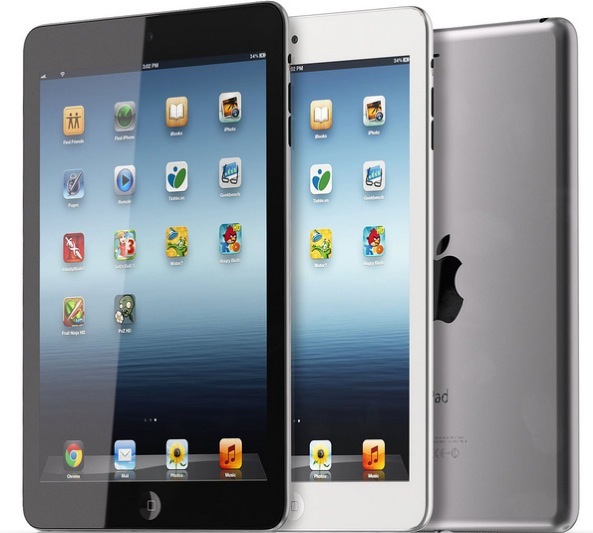 Finally, the iPad mini 2 could face delays because 7.9-inch Retina display panels and the thin form factor may make the device more difficult to manufacture. 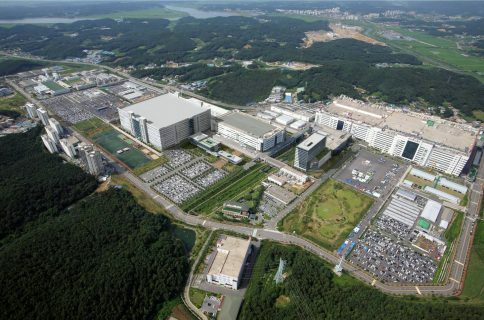 As a result of these issues, Kuo said it’s likely that Apple will see single-digit growth in iPhone and iPad shipments in the third quarter of 2013. 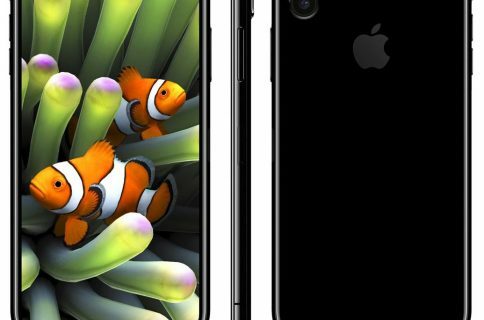 That would be well below the market consensus, which sees Apple growing its sales by between 30 and 40 percent with the introductions of new products. He laid out the new scenario analyst in a handy table below. Be that as it may, the report does jive well with whispers of iOS 7 possibly running behind because of a major UI refresh under Jony Ive’s leadership. 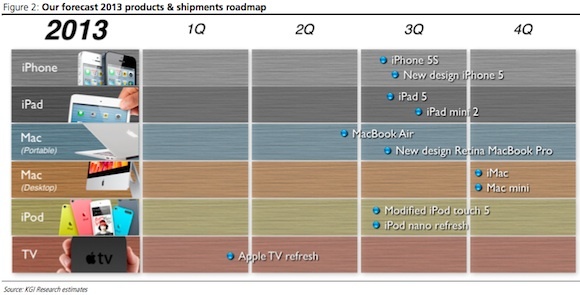 For reference, this is Kuo’s previous Apple roadmap, from January 2013. And this one’s from Jefferies. As you can see, analysts don’t expect any major product launch this summer. Apple typically refreshes iOS devices once a year. 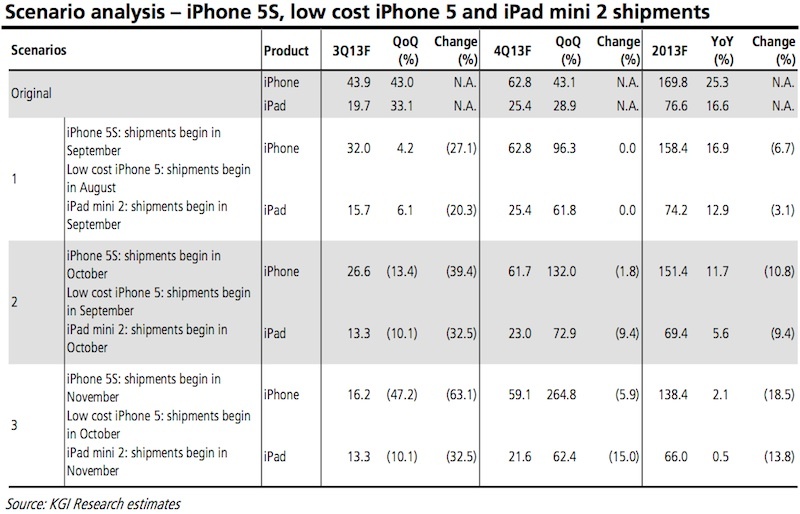 Last year, the company switched from its previous ‘iPhones in summer/iPads in Q1’ scheme with the September/October refreshes to iPhones/iPads. This actually makes more sense given the all-important holiday shopping season. With intensifying competition, Apple might not be able to talk holiday shoppers into buying gadgets that are already a few months old. 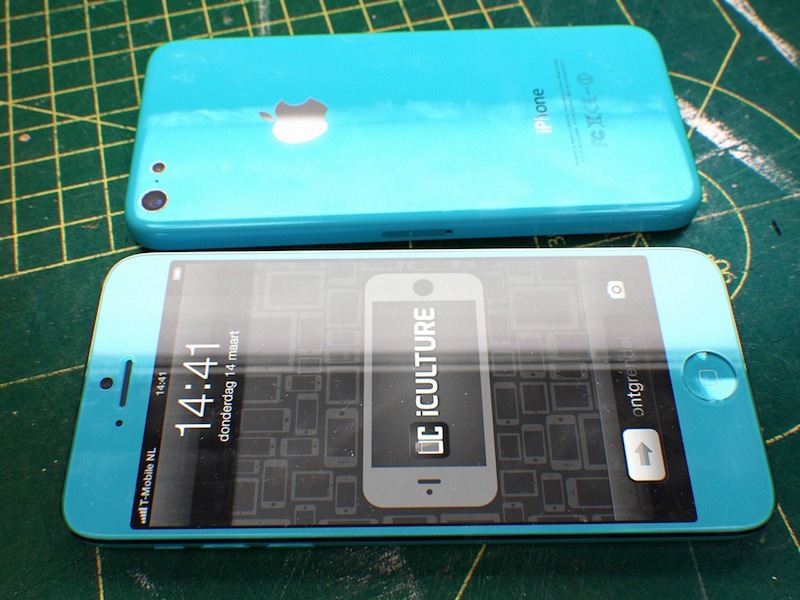 Besides, Apple is known for its maniacal perfectionism. Jobs was allegedly very exact in terms of gaps between surfaces that gaps between the surfaces be no more than 1/32 of an inch versus the usual U.S. construction standards of one-eighth of an inch. And let’s not forget that the white iPhone 4 faced several delays over light leakage problems affecting camera performance, an issue most manufacturers would neglect and just release the damn thing as soon as possible. All renderings via 3D concept artist Martin Hajek.